We’ve recently launched a programme in partnership with Nottingham City Council to make leadership in Nottingham more representative of the diverse communities it represents, across the public, private and voluntary sectors. The Future Leaders of Nottingham programme, now in its second year, aims to identity people with the ability to take on future leadership roles – and develop their leadership skills through a variety of masterclasses, workshops and activities. 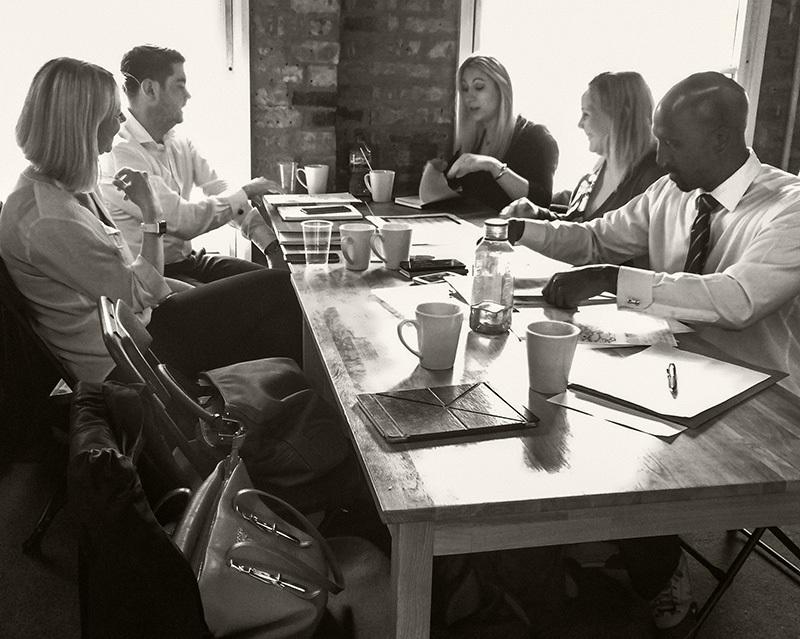 “The Future Leaders of Nottingham development programme provides a unique opportunity for its cohort to learn, experience and grow, under expert tuition and guidance. It’s clear from the first month of the programme that the journey to leadership isn’t about reaching a destination, but being open minded, constantly developing to overcome challenges and being ready to make the most of life’s next opportunity. My personal journey to leadership started several years ago, where my job required me to lead the sustainability agenda of a national housing association, providing clear, visible direction for an organisation that owned and managed 20,000 homes, often in the face of intense scrutiny and competing priorities. Having left London after 10 years to pursue my career in Nottingham, I wanted to find a development programme that would support my career aspirations of being a senior leader at Nottingham City Council. When I saw the Future Leaders of Nottingham (FLN) programme advertised, I felt heartened that even in times of financial difficulty the City offered such opportunities and I applied immediately with the support of my Director. Having made the first cut, I was asked to attend an assessment centre. This was the first new challenge posed by the FLN programme. Being asked to be part of the 2017 intake gave me the shot in my arm and the new challenge I was looking for. After a month of masterclasses, support and social mixers, it’s clear to me that the group is full of huge potential. Every member of the cohort has an inspirational life story to tell and reinforces your belief in what is possible despite considerable odds. Members have learned from challenges overcome as individuals and I’m sure now with FLN group support, new challenges can be overcome through collaboration in previously unthought of ways with the benefit of different perspectives in the group. In one way, the challenges that the group will face in its ongoing journey are now shared challenges. After a few sessions, it’s clear that leadership is not a destination. We are learning and developing as we go, adding to our skill-sets. With an open mind and heart the group will learn from the experts, but also from each other. We will apply our learning to improve our own lives, ability to manage change and the challenges and opportunities of leadership.